Even if you’re not a petrol head you’ll appreciate the undeniable beauty of a classic car. 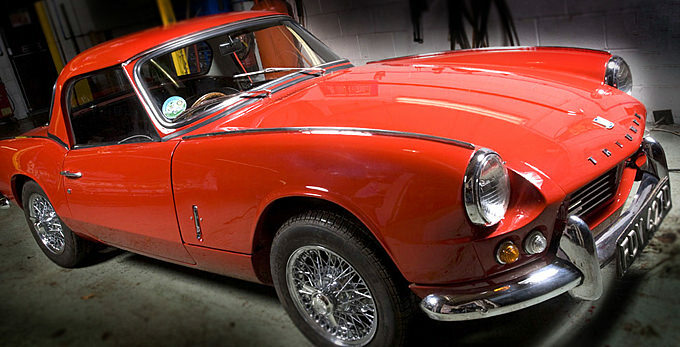 Well, Peter was in seventh heaven recently when he was photographing the workshops of Classic Car Restorations. The photographs will be used on a new web site we are building for them at the moment and amongst the cars recently completed was this lovely Triumph Spitfire, which will shortly be going to it’s owner overseas. 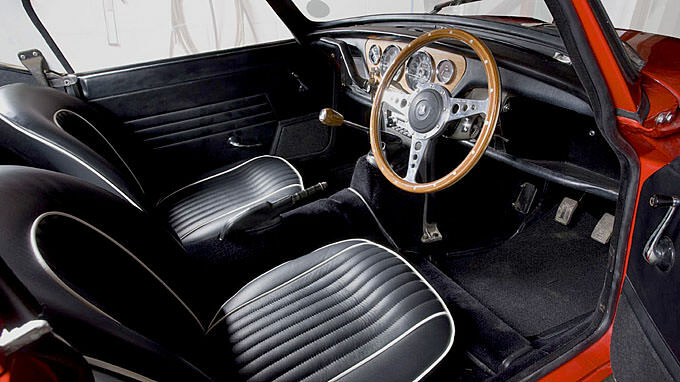 It was immaculate, with a fully refurbished body and interior. They are working on a variety of vehicles at the moment, from a Bedford camper van to a huge American Buick. But another project just finished was a stunning restoration of a Mini on which the owner spent tens of thousands. Peter’s bought an old Mini for about £200 but I think it’s well past restoration! They make the perfect pair!